What is this technical examination and certification? To sell any IP and/or wireless (Wi-Fi) products they must be inspected and pass all the tests in Japan by associations (in our case, they are JATE and UL JAPAN). Then they will have issued an official certification document. Japan has its original procedure of inspection. What you can buy outside of Japan doesn’t mean you can sell or use in Japan legally. Please take a look at the pictures attached below. 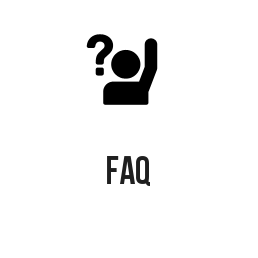 There are three arrows indications of certification. Symbol, T and R. Symbol and T (means IP phone product) which must be stickered to the back of product. 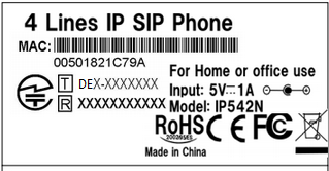 If you see or use IP phone that does not have such a sticker it is an illegal product. You should be cautious and discontinue the sales or support of the product. Since our product is wireless (Wi-Fi) function, R certification is also required. How’s the voice quality on this device? I have a concern for the Voice Quality since it is not only IP but also Wireless (Wi-Fi) connectivity. First of all IP does not mean lower voice quality. IP only means IP phone to PBX connectivity is by LAN Cable instead of phone cable. The quality of sound will be as clear as digital line also known as ISDN channel. You won’t be able to tell the difference. Softphone service is as skype uses IP technology. Yes their voice quality is lower sometimes but it is because they use a certain codec to compress the data. Almost all the case our phone will be set not to compress the data which is a default setting. As far as wireless (Wi-Fi) connectivity quality, our device passed all the technical examination and has all the certification and legal documentation required to sell it in Japan. It performs perfectly with wireless network. Please do understand that it is a network device and unstable network means unstable network device. How do you set up wireless (Wi-Fi) account information to the device? You have 2 ways to set up the account. You can do from the device or GUI. Can I use the phone as soon as I plug in the AC adaptor? In case IP account is preset, all you have to do is to set up the Wireless (Wi-Fi) account. If you do not have IP account please contact with network administrator / IP-PBX vendor or IP-Centrex provider. Can I connect PC by LAN cable to IP Phone with wireless (Wi-Fi) connectivity? Since it connects with internet, will IP phone occupy large space of network bandwidth? Even non-compressed codec, it will only take up 200kbps per call on bandwidth. That is a fraction of almost any network.